I once had a friend that had been an advertising agency copywriter. He once told me, “You can’t beat free.” And it’s true. There’s just no word in advertising more powerful than free. It’s nice to read that something’s 20% off, 30% off or even 40% off. But none of that beats free. You not only save money when you get something free, it just leaves you feeling good – almost as if you had gotten away with something. Unfortunately, in some cases free isn’t entirely free. As an example of this, I was about to order something from Amazon the other day because I would get free shipping. That is, it was free until I read the fine print and learned that my order had to be for $100 or more. 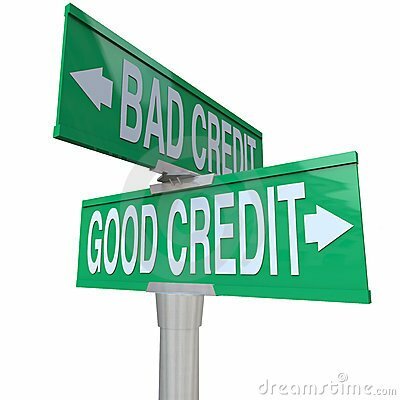 Two of the three credit reporting bureaus – Experian and Equifax – also offer “free” credit reports. Experian will provide you with your credit report for just one dollar but you will be required to sign up for a free seven-day trial of its Credit Tracker service. The second of the credit reporting agencies, Equifax also offers a “free” credit report. But when you click on the appropriate button, you end up on the site mentioned above, annualcreditreport.com. The third of these bureaus, TransUnion, doesn’t offer a free credit report on its homepage but promotes a free credit score instead. There are also a variety of websites that promise free credit reports but again have strings attached. You need to be wary of these because if you choose the wrong one you could end up with a surprise charge on your credit card for some service you didn’t really want and would likely have a very hard time canceling. Fortunately, there are websites where you could get your credit report free that are honest and provide helpful information. One that we like is CreditKarma.com. It will provide you with your credit report free, along with the ability to stay on top of all of your accounts in one place along with free credit monitoring. However, the free credit score you get won’t be your true FICO score. It will be your Experian score, which should be close enough to your FICO score for you to know whether you have good or bad credit. We also like www.CreditSesame.com for the same reasons. Some years ago our Congress passed the Fair Credit Reporting Act (FCRA). This act mandated among other things that the three credit reporting bureaus must provide you with your credit report free once a year. You could get your report by contacting each of the agencies individually or via the website www.annualcreditreport.com (not to be confused with the other site that has a similar name). This site not only provides your credit reports free but also gives you the option of obtaining all of then simultaneously or one at a time. Many people choose to get one report every four months as a way for do-it-yourself credit monitoring. If you do find any of these items on one or more of your credit reports, make sure they are really legitimate. The three credit bureaus process literally thousands of pieces of information a week and they do make mistakes. If you find an error on one of your reports, it’s important to dispute it. All three of the credit-reporting agencies have online forms where you can file a dispute but most experts say it’s better to do it via letter. You will need to attach any documentation you have supporting your claim. It’s also a good idea to send a copy of your letter and documentation to the organization that provided the erroneous information. Once the credit bureau receives your letter, it must contact the organization that provided the information and ask for it to be validated. If that company cannot validate the information or doesn’t respond within 30 days, the credit bureau must remove that information from your credit file. If you need to dispute an item, here’s a video with helpful information about the letter you would need to write to the appropriate credit bureau.